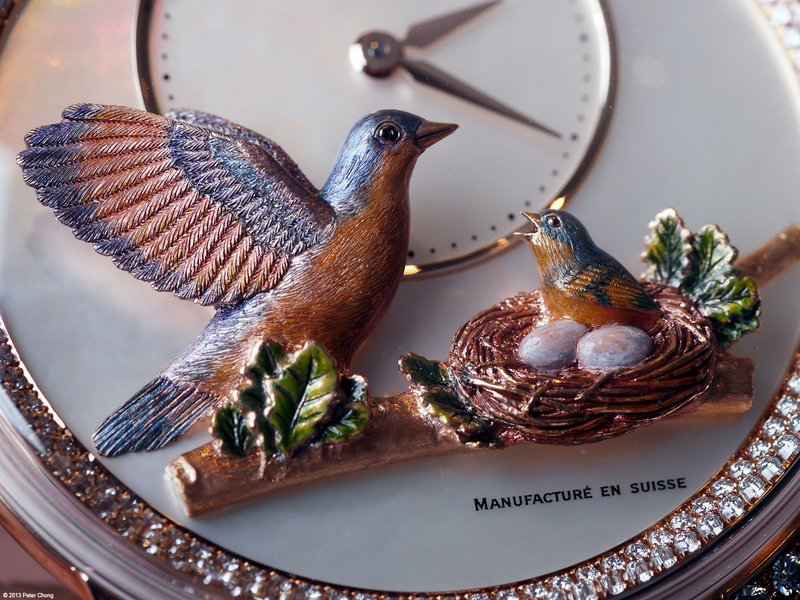 Today I feature a lesser known and less expensive variant of the famous Jacquet- Droz Bird Repeater...sans repeater and automata, but still with the beautiful 3 dimensional sclupture. 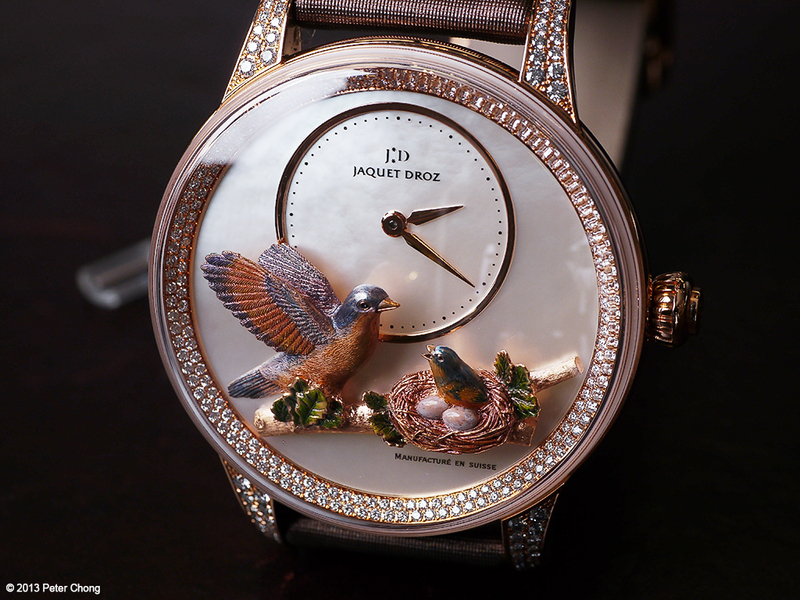 The watch is a jewellery piece, with diamonds on the bezel...but the true artistic beauty must be the mini-scupture of a bird feeding her chicks on the dial. The mini-sclupture leaps out in a realism only achieved when great masters work on the artwork...the proportions are almost perfect. The details outstanding. Click on the image below for a 1920 wide wallpaper sized image. Look at the two eggs in the nest at about 4 o'clock...even the texture of the egg is captured. The details on the feathers of the mama bird is also quite amazing, though a bit stylised, it retains a vividness that is utterly beautiful. 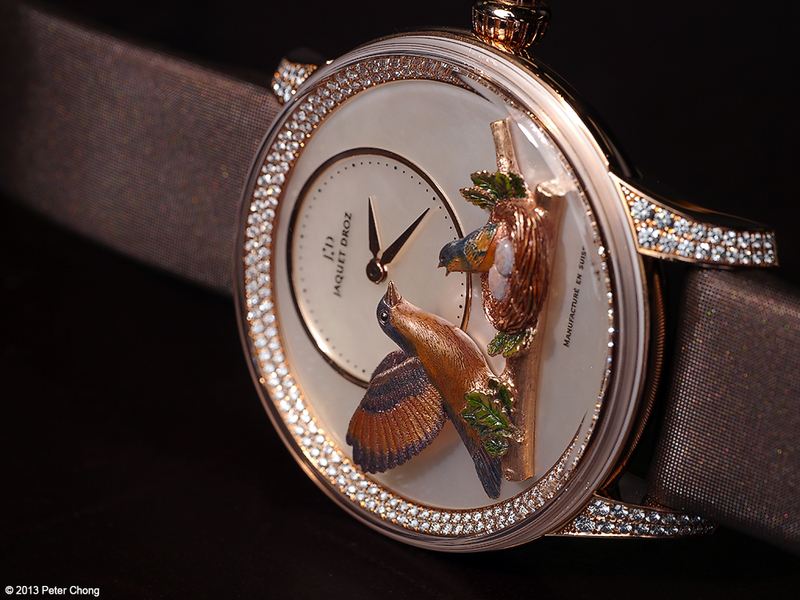 Yes Peter, the watch is breathtaking and definitely art on the wrist. I would think this is every women's dream to own one like that. I would but it for my wife if I had the money.